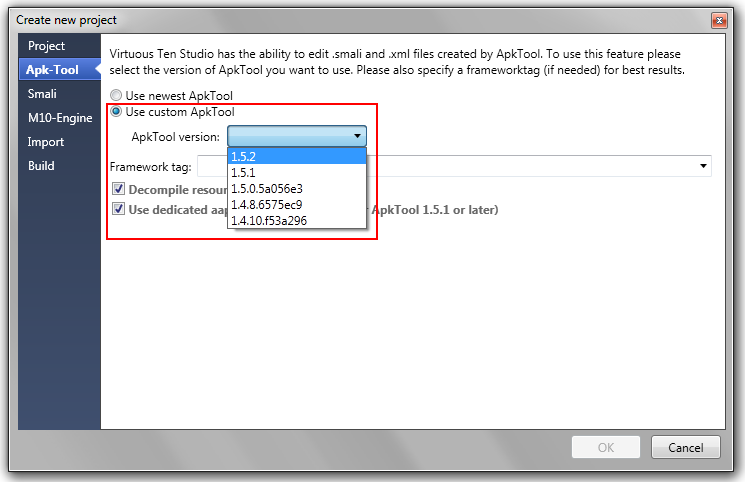 VTS now automatically uses the newest version of apktool unless you specify otherwise in your project settings. Any existing projects will also automatically change to using the latest version. When you create a new project take a look at the apktool options tab. 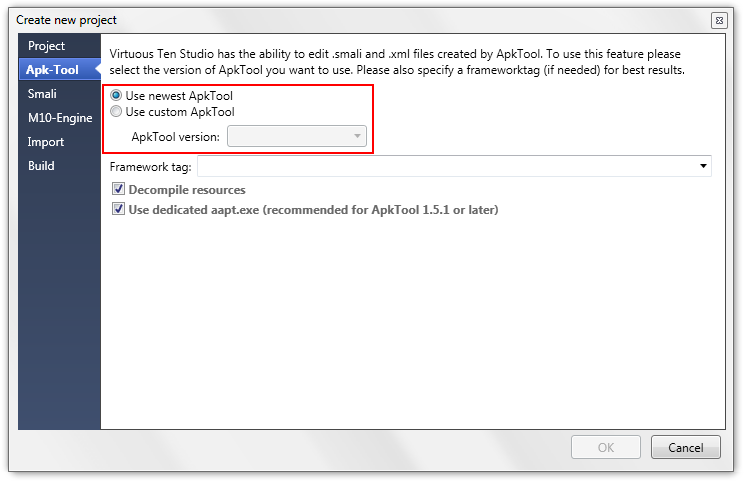 You’ll see there are now two options – Use Newest ApkTool (default) or Use custom ApkTool. If you leave Newest selected then VTS will use the latest version (1.5.2 at time of going to press). However if you select Custom you will then be given a dropdown list of available versions to choose from. To add your own custom APKTool versions all you need to do is simply drop them into the ExternalApkTool folder in the VTS install directory (C:Program FilesVirtuous Ten Studio or wherever you have it installed to), making sure it has a unique name. Next time you launch VTS it will then appear in the dropdown list of available versions for you to select. 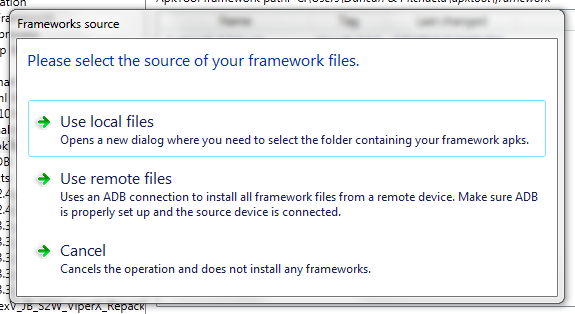 Another excellent addition is the ability to install all the framework files you want to work with either from a folder on your PC, or remotely direct from your device. 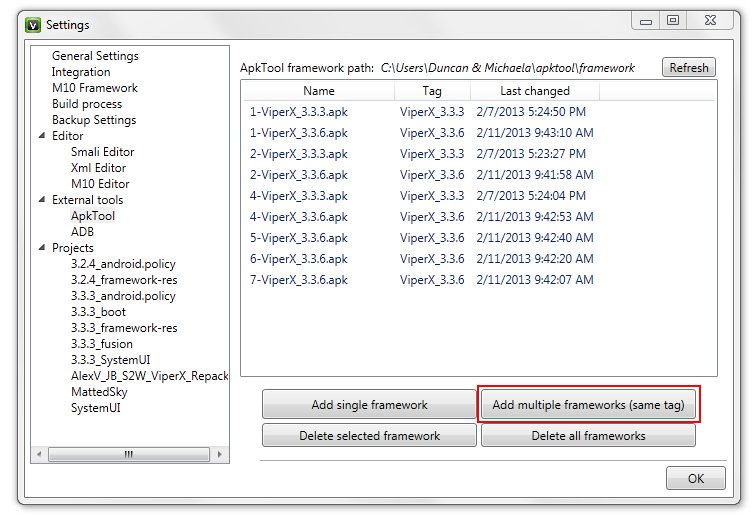 Simply Open Settings, click on APKTool, and then click Add Multiple Frameworks and follow the onscreen instructions. 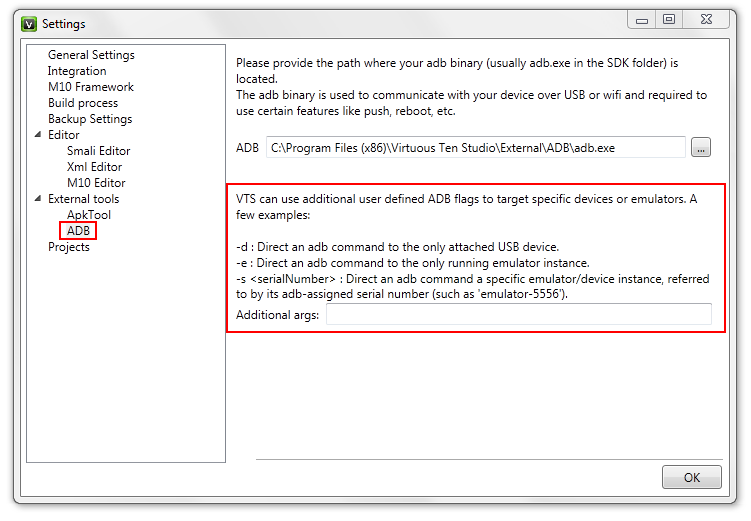 And finally, we’ve added the ability to specify additional ADB commands (for example -d, -e, -s, etc) so you can now direct VTS to push files to your emulator, or only to a specific serial number and so on. You can set up custom arguments in the main Settings screen under the ADB option.